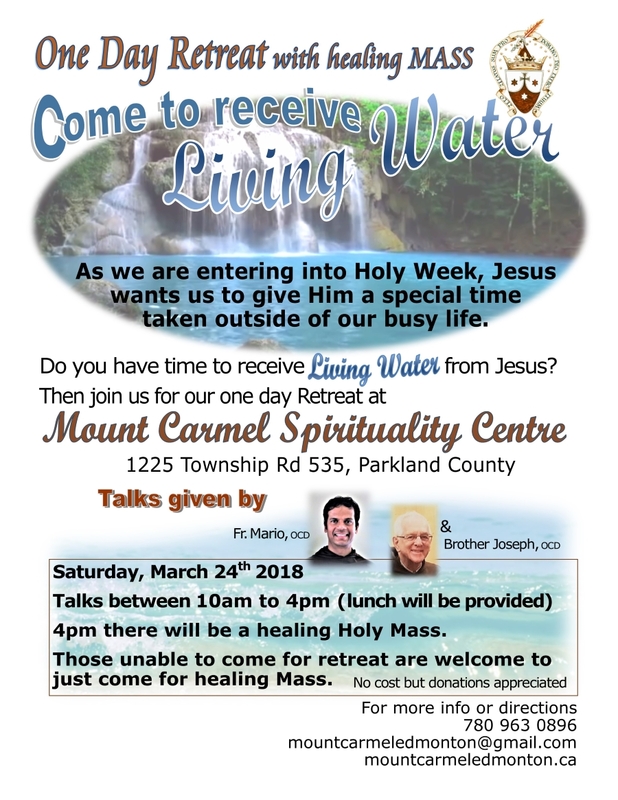 Please join us for a one-day retreat with a healing Mass on Saturday, March 24th, 2018. The theme is Come to Receive Living Water. As we are entering into Holy Week, Jesus wants us to give Him a special time taken outside of our busy life. Do you have time to receive Living Water from Jesus? Talks are between 10 AM and 4 PM, and they will be given by Fr. Mario, OCD and Brother Joseph, OCD. There will be a healing Holy Mass at 4 PM. 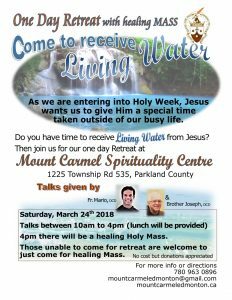 Those unable to come for the retreat are welcome to just come for the healing Mass. Click to view larger size!